من دیمیتری برنارد کیفر هستم. و 12800 کیلومتر را با دوچرخه در 4 تابستان. ماگادانسکایا اوبلست در روسیه رسیدم. سپتامبر2015 (31 شهریور 1394) به شهر ساری رسیدیم. عبور کنیم تا به بندر خصب در شبه جزیره موساندام در عمان برسیم. ایران، و سفارت عمان در تهران دریافت کردیم. ما از اینکه بهتر از این نمی توانیم به زبان شما ارتباط برقرار کنیم عذر می خواهیم. با این حال امیدواریم که بتوانیم یکدیگر را درک کنیم! I am a French citizen and I am currently in the middle of a human powered expedition around the world which I started in Anchorage, Alaska, and progressed through, intermittently since February 2005. I have already covered 17,800 kms: walking 5000 kms in 6 winters and cycling 12,800 kms in 4 summers. Since then, my Russian wife Gulnara Kieffer has joined me and we have cycled together through Mongolia, China, Kazakhstan, Kyrgyzstan, Tajikistan, Uzbekistan and Turkmenistan until we reached Sari, Iran on September 22d 2015, after having cycled through the Iranian towns of Sarakhs, Mashhad, Quchan, Shirvan, Bojnurd and Sari. From Sari, we plan to cycle 1400 kms, south through the towns of Eskard, Sangham, Fahrabad, Reshm, Hoseinan, Dolashi, Jandaq, Chupanan, Ardakan, Meybod, Yazd, Mehriz, Anar, Jowzam, Sirjan, Baqat, Gohreb and Bandar Abbas. 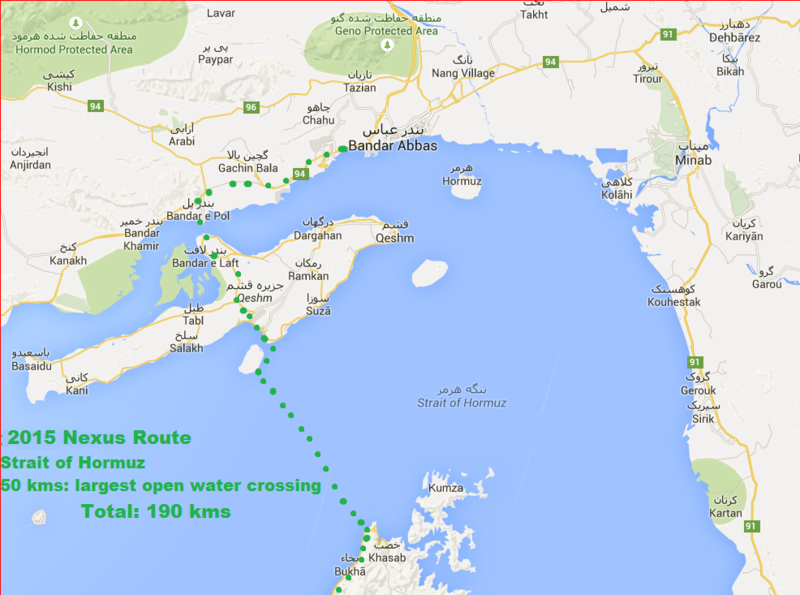 In Bandar Abbas, we will then row or paddle in a kayak across the Strait of Hormuz to reach Khasab in the Musandam Peninsula in Oman. For this matter, we have received permission from the Iranian Ministry of Tourism, Ministry of Marine (Search and Rescue Department) and the Ministry of Foreign Affairs. 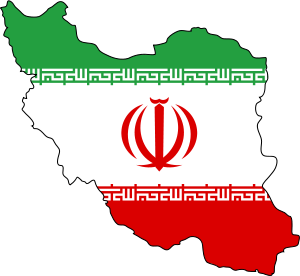 We have also received permission from the Oman embassy in Tehran. We apologize that we are not able to better communicate in your language. Nevertheless, hopefully, we will be able to understand each other!